Adventure Awaits with Southwest Odyssey Tours! Welcome to Southwest Odyssey Tours. New tours are always being added, so make sure and check in from time-to-time. Southwest Odyssey Tours offers a unique selection of expertly guide, custom designed, luxury adventure tours in some of the most breathtaking and culturally significant locations in Arizona, New Mexico, Utah, and Colorado. Southwest Odyssey Tours takes you off the beaten path in a luxury 4-wheel-drive specially-equipped expedition vehicle and offers a remarkably close look at the special history, heritage, culture and cuisine of each spectacular destination. 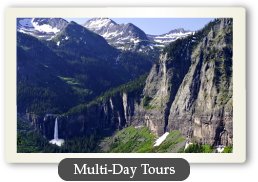 When you select a Southwest Odyssey Tours tour for your vacation you can be assured it is an original, exciting, and rewarding travel adventure. To enhance your experience, Southwest Odyssey Tours groups are small, allowing us to be sensitive to the native ecology, geography and culture of the destinations we visit. Through our active commitment to sustaining the character of each of our destinations, Southwest Odyssey Tours follows the principles of National Geographic's Geotourism initiative. Our experienced guides share their passion for the backcountry and offer detailed knowledge of each stunning location while providing you with a personalized, environmentally sensitive, and culturally aware travel experience. 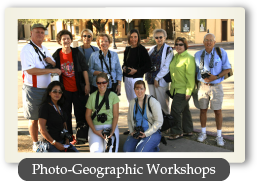 Whether you are determined to immerse yourself in the traditions and customs of Native American Indian tribes, yearn to experience Arizona's desert wilderness, or want to be specially positioned to take awe-inspiring photographs of some of the most majestic scenery in the world, Southwest Odyssey Tours has an adventure waiting for you to explore. We are always very happy to create a custom tour for you based on your interests. 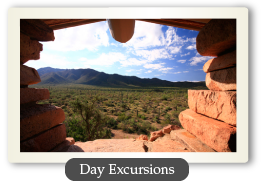 Special group rates on day excursions of up to 25 percent are available—be sure to inquire! We invite you to join us and experience the beauty that awaits you down the desert trail, across the canyon riverbed and over those distant mountains. Start your adventure today by exploring our site.